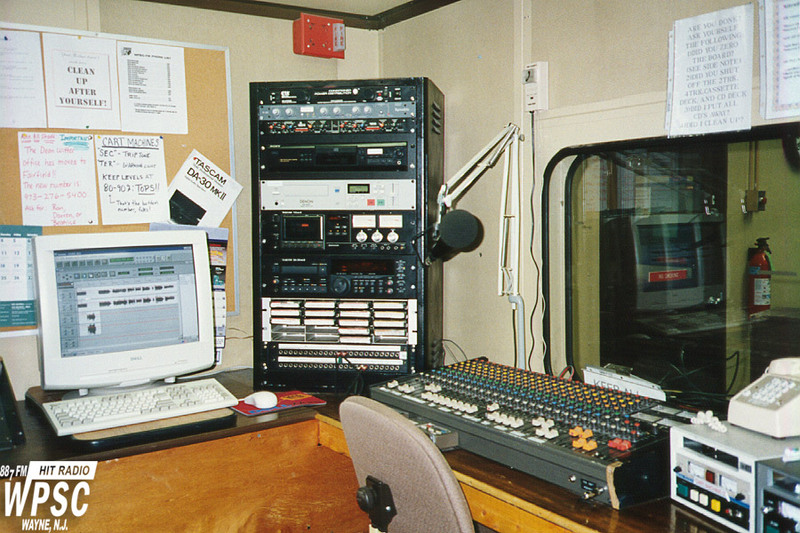 Another staple of old analog radio stations was the "Production Room." Now almost completely replaced by a copy of Adobe Audition, this was where everything that went out on the air was born. By the Spring of 1998, that Dell workstation replaced an old four track TASCAM deck. Most material was still run out to carts, and that tan BE cart-recorder in the lower right was the work horse of the room. In the rack was a variety of equipment, including a phone hybrid, compressors, outboard effects processors, CD Players, and DAT recorder. The mixer was a 1980s vintage TASCAM M216.